Overview : Introducing the Nitecore UCN1 Dual-Slot USB Travel Charger designed to recharge Canon EOS LP-E6, LP-E6N, and LP-E8 batteries. This lightweight and compact battery charger features a built-in USB charging input that stows away in a designated secure trough to save space and prevent damage. The UCN1 has a dual port design to simultaneously charge LP-E6 or LP-E6N batteries on one side and LP-E8 on the reverse. A brightly lit LCD display reports key battery information including battery type, capacity, voltage, charging status and health. The UCN1 offers smart charging management to automatically apply the correct charging current, prevent overcharging and protect against improperly inserted batteries. Compatible with many solar panels and power banks, the UCN1 is a versatile charger for at home and on the go. 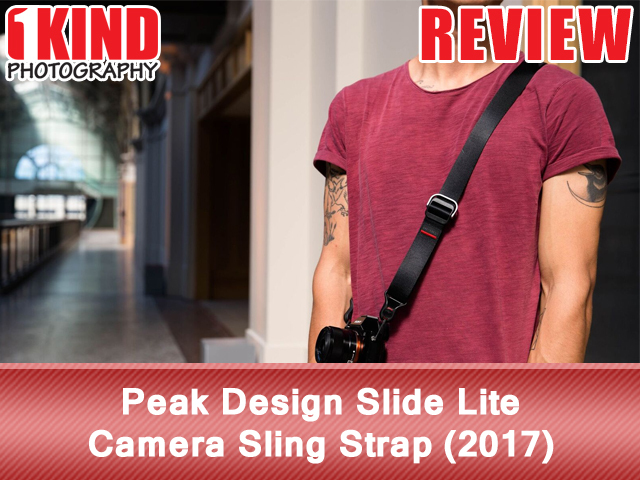 Did you receive money from your birthday or from the holidays and you've been eyeing that Everyday Backpack, the Everyday Sling 5L or 10L, how about the updated Slide Sling Strap or the new Capture Clip v3, but looking for that right time to buy? Now can get what you wanted and save yourself some money. 'Tis the season to be giving! We are hosting a giveaway that will give ONE (1) lucky winner a $10 OFF coupon code to use at Peak Design (http://www.peakdesign.com/). Coupon code can ONLY be used on Peak Design's website. Contest starts December 20, 2017 at 12:00pm PST and ends January 20, 2018 at 11:59pm PST. Contest is available worldwide. Winner will be emailed coupon code. As a reminder, by using our link, you're eligible for a FREE gift with any purchase of $65 or more. Disclaimer: Contest end date may change at anytime and end without a winner. 1KIND Photography may receive a small share of the sale when someone makes a purchase at an affiliate site after clicking on our link. Until December 24th, Custom SLR is offering their Air Strap (review) and Hand Strap (review) for only $10 each! That's HALF OFF the regular price of the Air Strap! In the U.S., order by December 18th to get items delivered in time for Christmas! *Note: You don't have to do anything to receive these extra gifts. Just add enough products to your cart to see it equal more than $50 before taxes and shipping, and we'll take care of the rest! We love Kickstarter and IndieGogo because we get to see what new, innovative products are available for photographers. Typically, the products launched on these crowdfunding sites aren't from your typical photography manufacturers but from small startup companies. 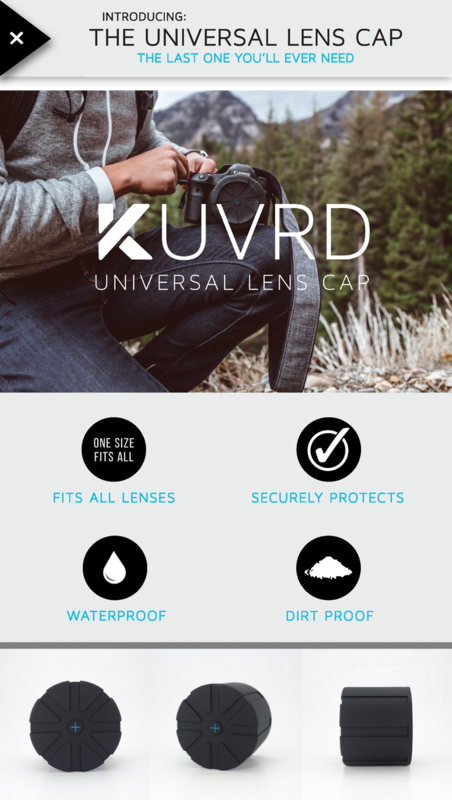 KUVRD is one of them and they just launched one of the coolest universal lens cap solution. The lens cap will fit every lens with a diameter between 60mm and 150mm. 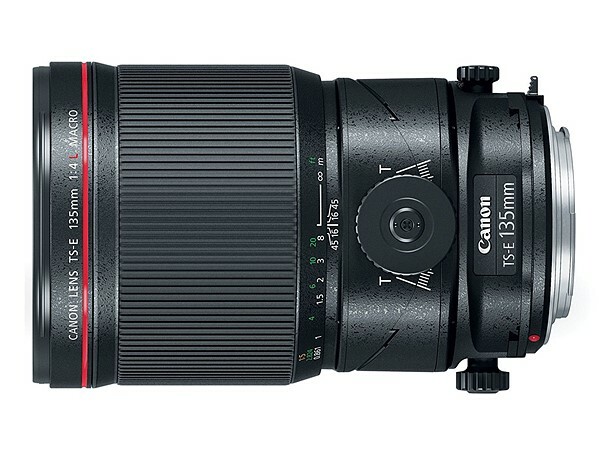 It will cover most non-super telephoto lenses, as well as pretty much every lens mount. The lens cap not only protects the front element but the rear element too. It's a one size fits all. 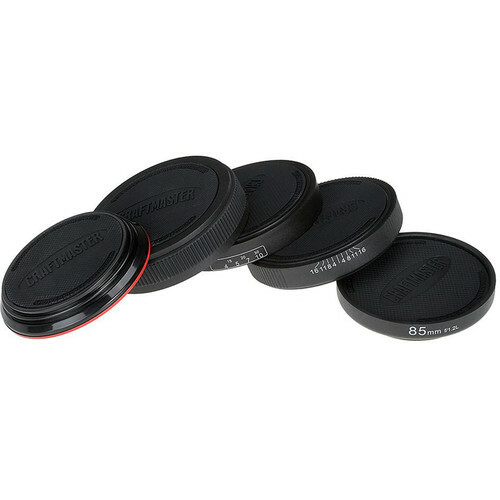 Unlike the plastic lens caps, since it is made of rubber, it protects your lenses from drops as the rubber provides some added protection. Not only does it offer drop protection, it also protects your lens from dust, dirt and water. The KUVRD Universal Lens Cap starts off at $30 for one, $45 for two and $60 for three. If you back the project and share to social media, they'll throw in an extra ULC for free. Our friends at Think Tank Photo have just released the Video Tripod Manager 44. 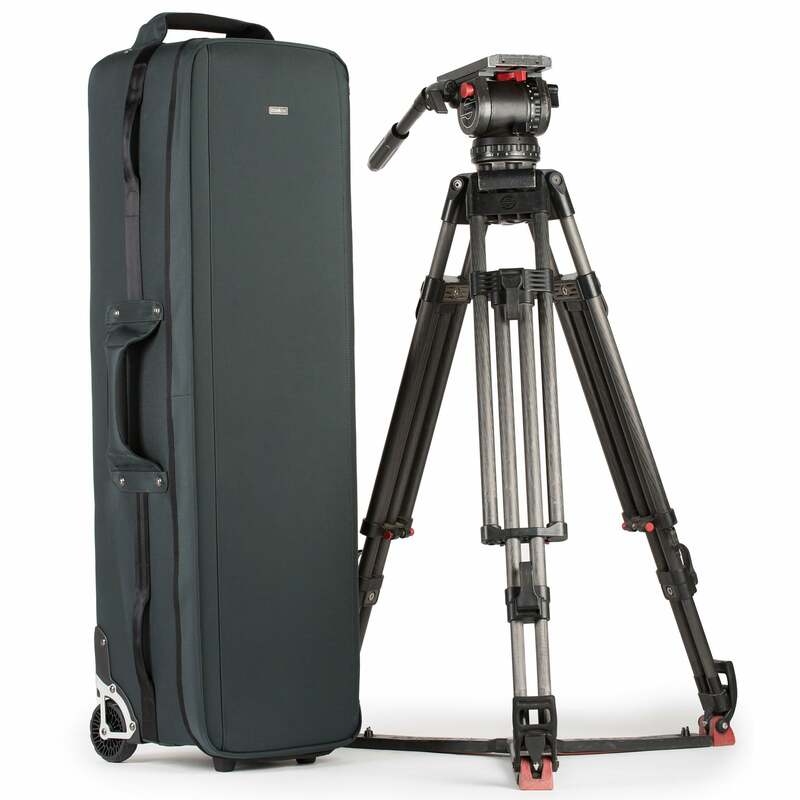 This well-cushioned, highly rigid rolling case holds cinema-sized tripods, stands, sliders, and/or modifiers up to 40” in height. The rolling case features robust handles on four sides, so it’s easy to load into a vehicle. It is an ideal travel solution as its rectangular shape stacks easily, saving space. This roller’s crush-resistant ABS twinwall reinforcement provides impact protection. Shock-absorbing wheels roll smoothly and hold up under the toughest conditions. And, don’t forget, whenever you use this special URL when ordering anything from Think Tank over $50 in value, you can add free gear to your order. 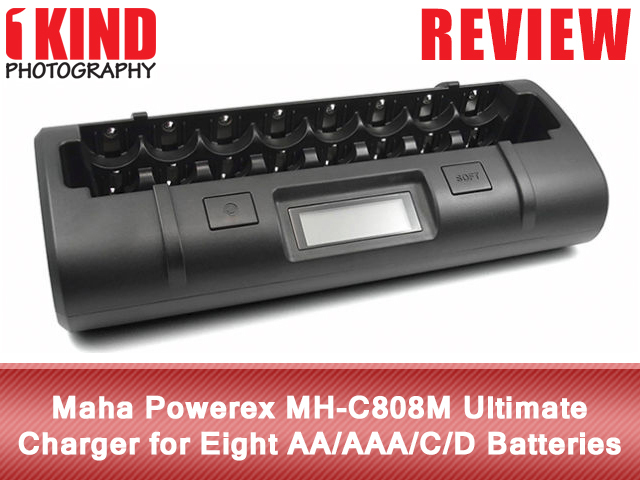 Overview : The Maha PowerEx MH-C808M is designed for today's ultra high capacity C & D batteries with rapid charging current. Charging time for a 11,000 mAh D battery is around 5 hours, while other products may take up to 40 hours to complete. Unlike other universal chargers, the Maha PowerEx MH-C808M uses rugged fixed contacts rather than spring-loaded ones, enhancing product reliability. It also features a rugged DIN power connector found only in professional products. It provides user with the option to choose between a soft charge and a fast charge mode. The Soft mode delivers the highest battery life and allows 100% compatibility with older, lower capacity batteries. 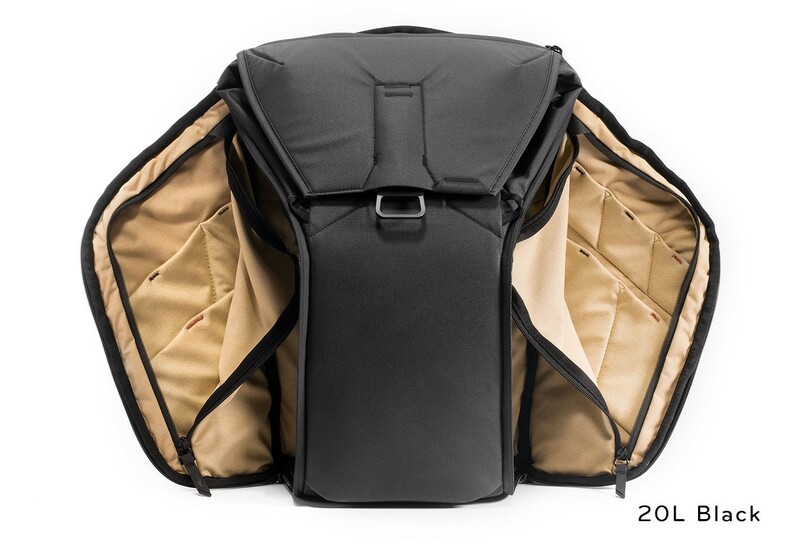 Our friends at Think Tank Photo have just released an expanded version of one of their most popular rolling camera bags. By complying with carry-on size requirements, with the new Airport Advantage Plus roller you can keep your most valuable gear safe and near you when you fly. Plus, the roller’s ultra-lightweight design at 6.9 lbs. (3.1 kg) helps meet weight restrictions, yet features the same level of protection for which Think Tank is known. Its dedicated laptop pocket fits up to a 17” laptop in a padded sleeve, a 10” tablet, or an Eagle Creek Medium Clothing Folder for overnight trips. By using my special link, you will receive free gear and free shipping not only when you order this new roller, but any Think Tank gear. 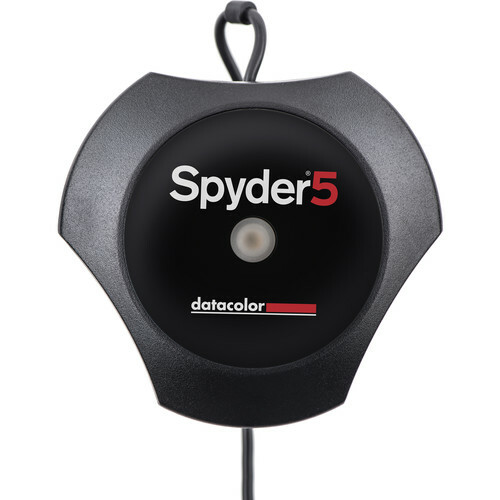 Today only, B&H Photo has two Datacolor Spyder5 calibration tools on sale. 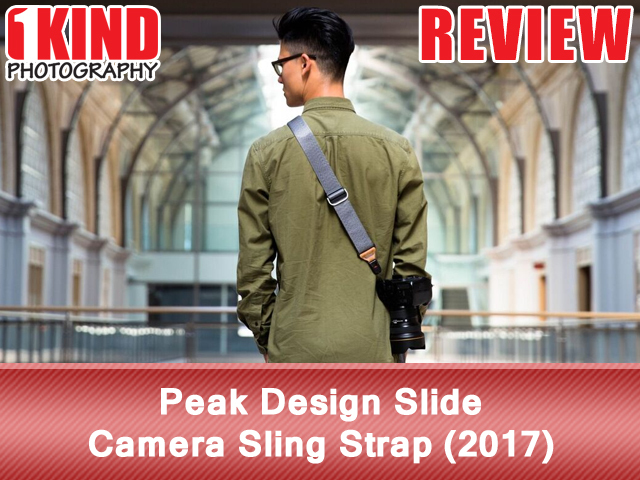 Overview : The most versatile pro camera strap in the world, the newly upgraded Slide can be worn as a sling, neck, or shoulder strap. Internally-padded nylon webbing has a smooth side that glides over clothing in sling mode and a grippy side that prevents slipping in shoulder mode. Dual quick-adjusters provide instant access and easy reconfiguration. Unique Anchor Link system connects quickly and dual points of connection keep your camera more stable than traditional sling straps. Plus, Anchors work with any Peak Design or 3rd party tripod plate. 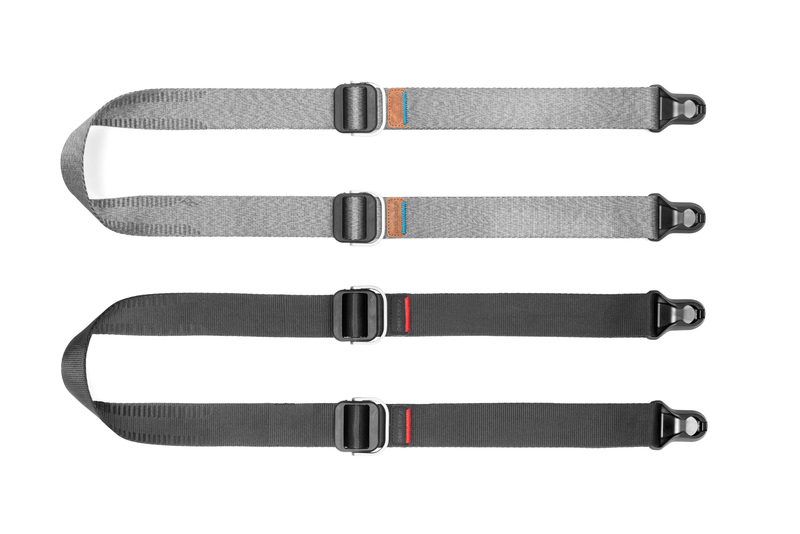 Updates include a revamped silicone grip, upgraded webbing, lower profile strap/hardware transitions, and crease-free internal padding. Anchor connectors have been updated to be smaller, faster, and more secure. Overview : The newly updated Slide Lite packs the unrivaled versatility of Slide into a smaller package, perfectly suited for mirrorless and light DSLR cameras. Wear Slide Lite as a sling, neck, or shoulder strap. 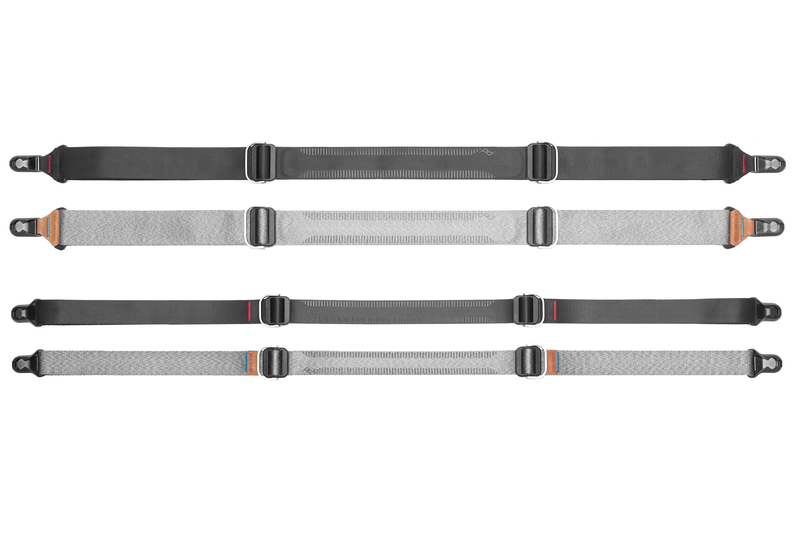 Seatbelt-style nylon webbing has a smooth side that glides over clothing in sling mode and a grippy side that prevents slipping in shoulder mode. Dual quick-adjusters provide instant access and easy reconfiguration. Unique Anchor Link system connects quickly and dual points of connection keep your camera more stable than traditional sling straps. Plus, Anchors work with any Peak Design or 3rd party tripod plate. Overview : The all-new Capture is the most secure, convenient, accessible way to carry your camera, period. 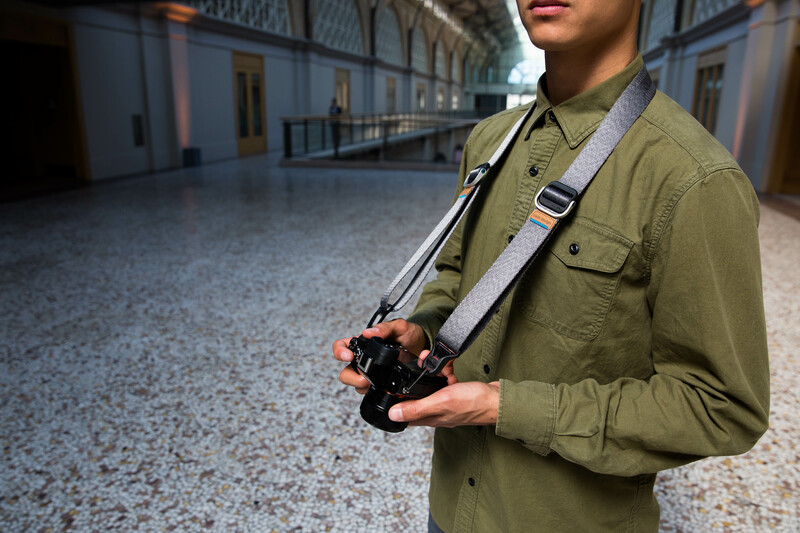 Unlike a camera strap, Capture keeps your camera rigidly stable while hiking, biking, or moving around the studio. Unlike a camera bag, Capture keeps your camera instantly accessible with the click of a button. 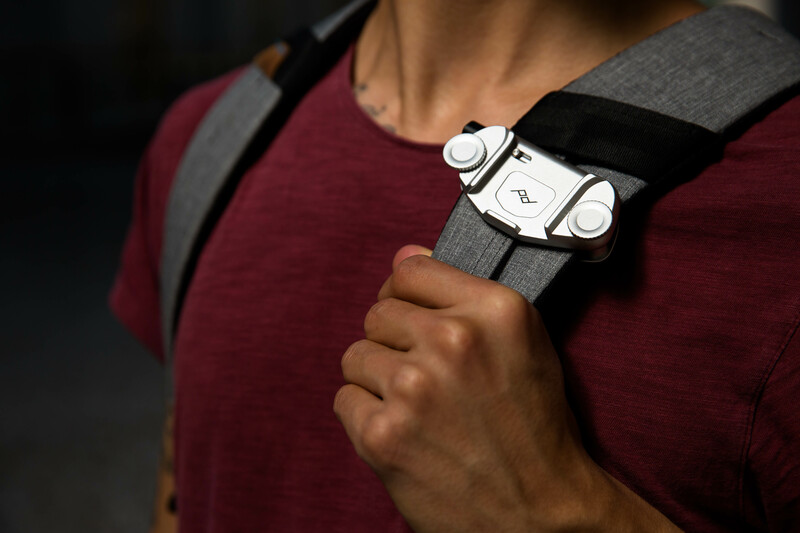 The Capture system includes 2 components: a metal clip that clamps to any backpack strap, belt, or bag, and a tripod-compatible plate that screws into the bottom of your camera. 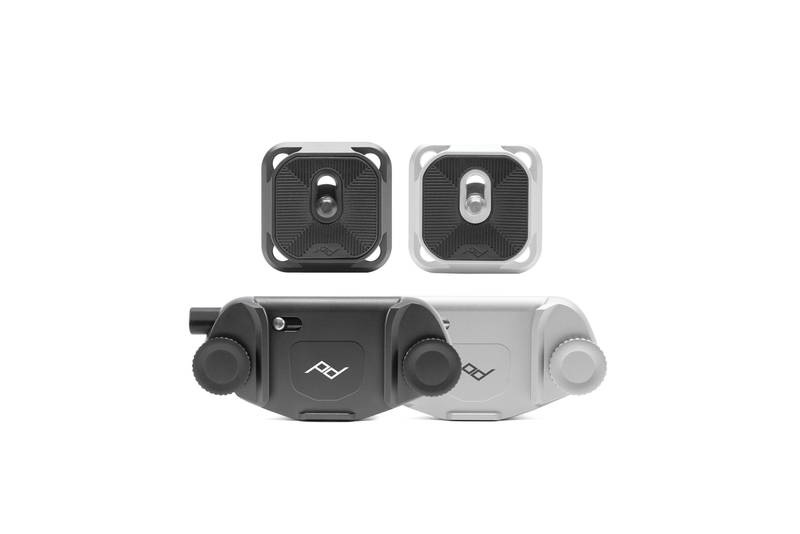 Your camera smoothly locks into the clip, where it is held rigidly and securely. Press the lockable quick-release button to remove. Overview : Drastically increase your comfort and stability when using Capture with even the heaviest of camera/lens/grip combinations. Works on the belt or backpack strap. When on the belt, Pro Pad enables top-loading Capture entry. 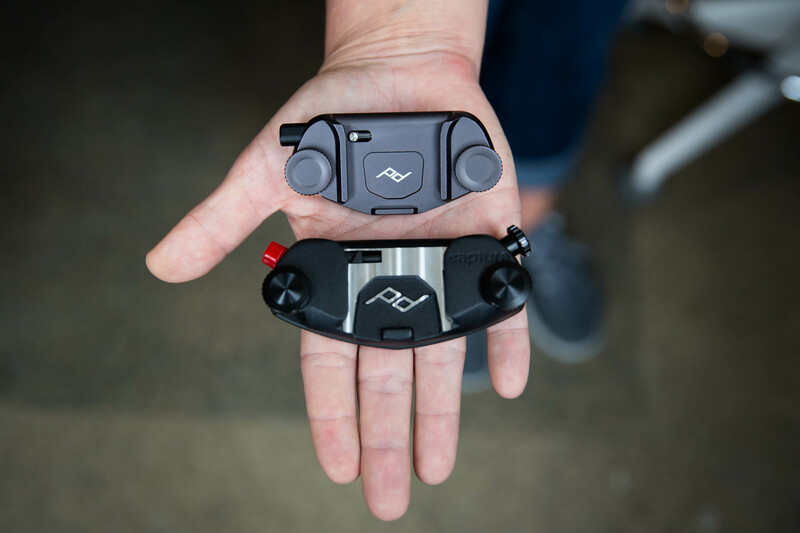 The all-new Pro Pad is significantly smaller and slimmer than the original version, yet built from a semi-rigid high-density EVA that provides more stability than ever. The pad is seamlessly laminated with our weatherproof charcoal nylon canvas, giving it a complete aesthetic makeover. And, in response to Pro Pad v1 customer feedback, we’ve made the new Pro Pad even easier to setup and use. Our good friends over at Peak Design is having a Black Friday Sale. If you've been looking to get that special someone some Peak Design gear or even for yourself, now is the time. Peak Design has a few great offers. 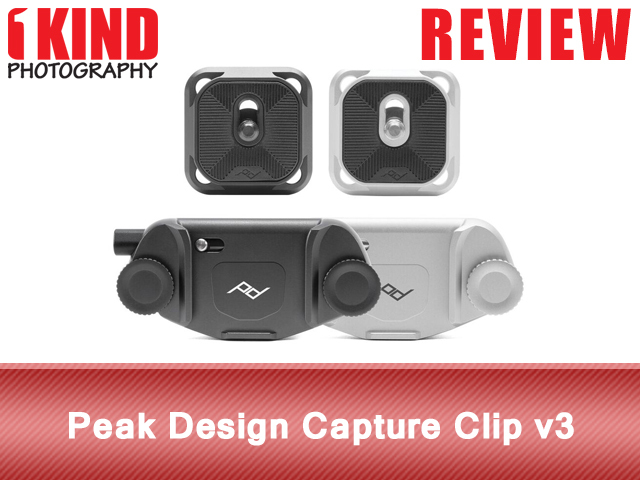 You can also check out all of our Peak Design reviews. Sale begins Thursday, 11/23/17 at 12:00am PT and runs through Monday, 11/27/17 at 11:59pm PT. 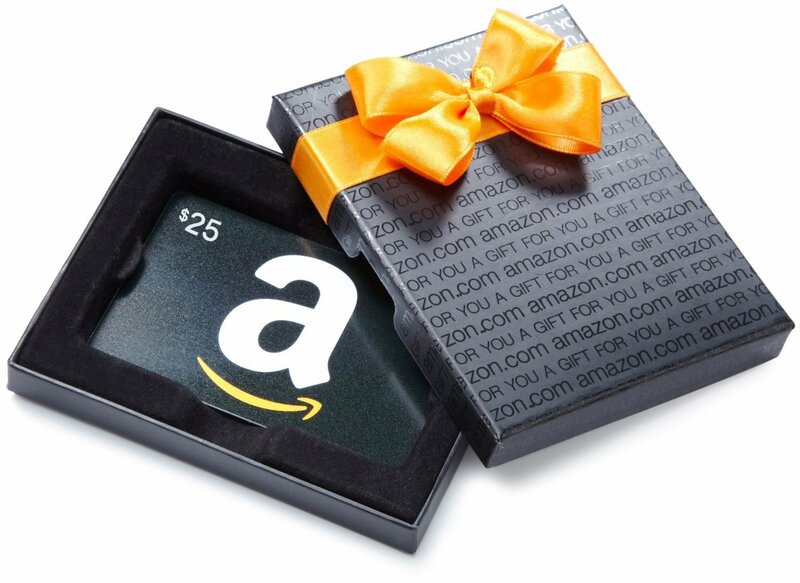 Don't forget that with any purchase of $65 or more from Peak Design, you're entitled to a FREE gift when using our link! 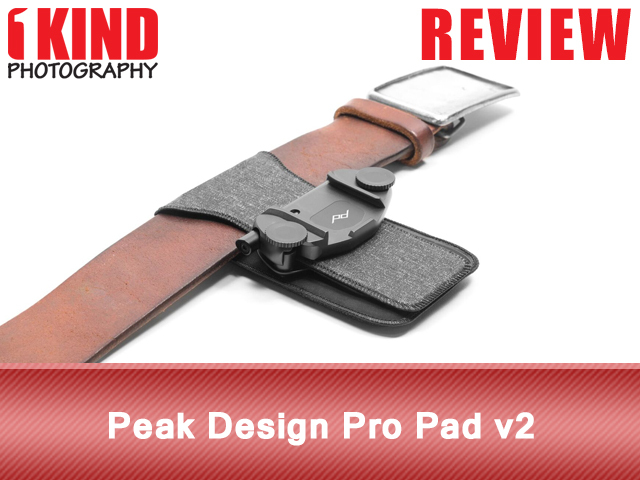 Our great friends over at Peak Design has just launched their 7th Kickstarter campaign. They're launching totally revamped versions of their greatest hits: Capture, Slide, and Slide Lite. These products took Peak Design off the ground, and now they've updated them to new levels of performance and aesthetics. The new Capture Clip V3 is now 20% narrower, 30% lighter, 20% thinner and 6x smoother. It now comes in black and silver and is machined and anodized. It also has a non-slip grip on the inside and fits straps up to 2.5 inches. You still have the standard thumbscrew to tighten the Capture or you can go with a slightly more secure solution with hex bolt screws. Since it is smaller and lighter, it is a lot more comfier. For the Slide and Slide Lite straps, it features new angled anchors that were introduced with the 2017 Leash and Cuff redesign. The new anchors are 2x thinner, fits more eyelets and works with tripod plates. The new straps also includes the ultra thin anchor mounts that attaches to the bottom of your camera if you don't have any tripod plates. The webbing is smoother but offers better grip on the padding. 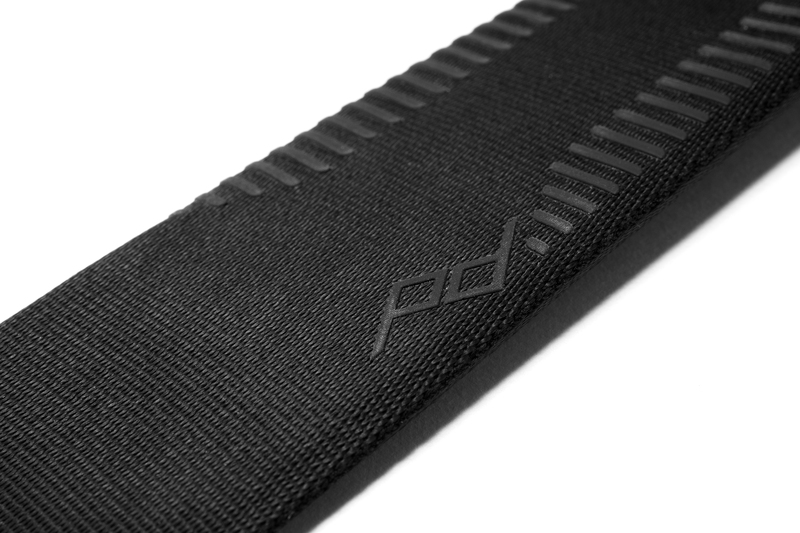 Speaking of padding, it features new internal padding to offer more cushion and the strap has a lower profile. 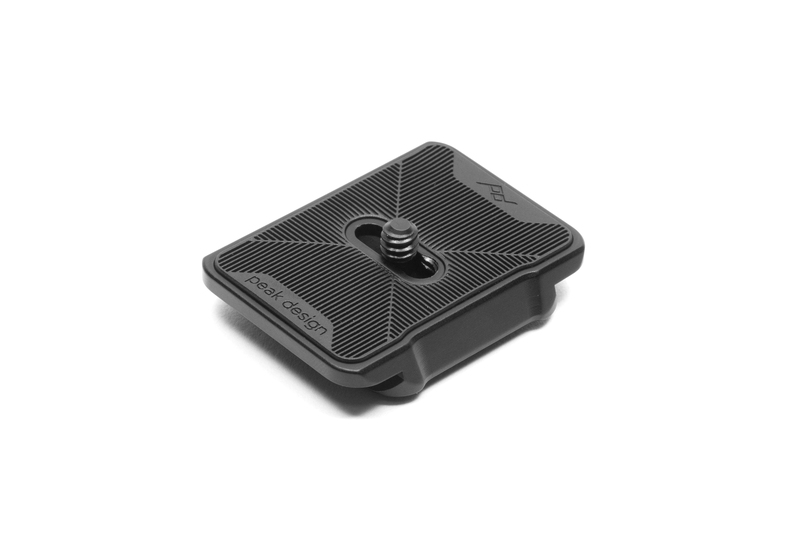 The new ProPad is slimmer and more comfier and the Capture plates have also been slightly redesigned. These are the retail prices once it is full available. Back through Kickstarter and there will be a slight discount. Act fast because this is only available for 5 DAYS! 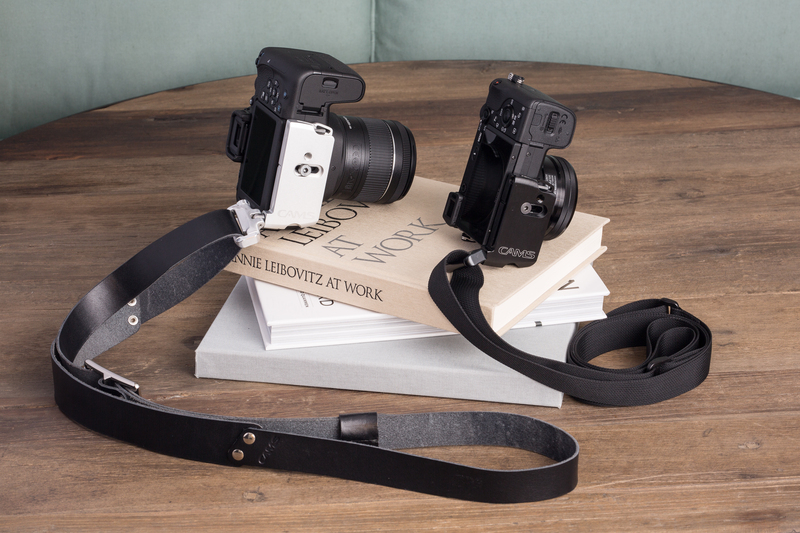 The creators of Carry And Mount System (CAMS) and the heavily pro-focused CAMS Pro Camera Plate and Strap have returned to Kickstarter seeking funding to expand their lineup of products to better suit the needs of mirrorless and compact DSLR cameras. The last time they were on Kickstarter was back in 2014 and we reviewed their original CAMS Pro. This campaign features two new plates, the CAMS Standard and CAMS Mini, as well as two new straps, the CAMS Minima and the CAMS Pelle leather strap. CAMS Standard and Mini Plates – all the goodness and integrated functionality of the CAMS Pro Camera plate, downsized to fit virtually any camera: Arca-Swiss style quick release clamp compatibility, 1/4"-20 hole for monopods and other accessories, and a locking quick-disconnect fastener for sling strap. Incorporating a few years worth of feedback on the Pro Camera Plate has lead to the inclusion of hex key stowage for plate removal in the field, SD card storage for convenient on-the-go backup, a center indicator on the Arca-Swiss-style dovetail for precise tripod shooting, a hand strap attachment loop, and most importantly, easy access to the battery door without removing the plate attachment all in a sleek, 12mm thin package. 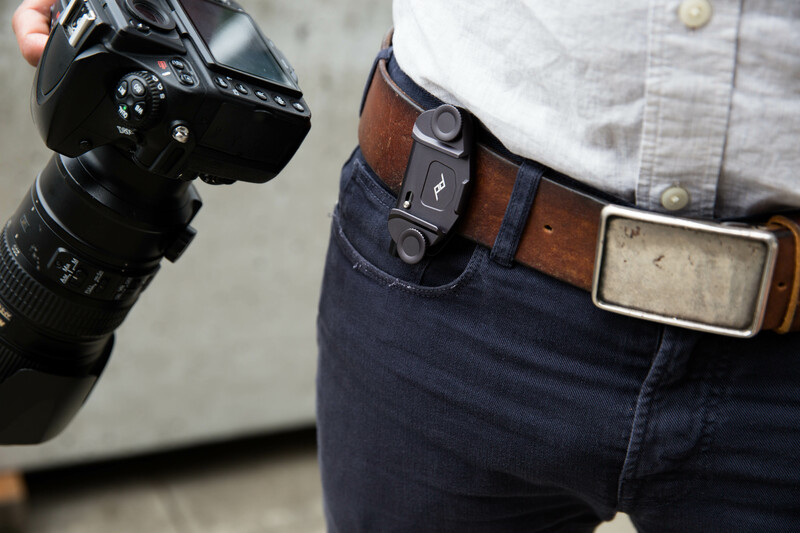 The Standard Plate offers a wider body for stability on and off a tripod while the Mini Plate ensures convenient access to the battery on a wide range of cameras. 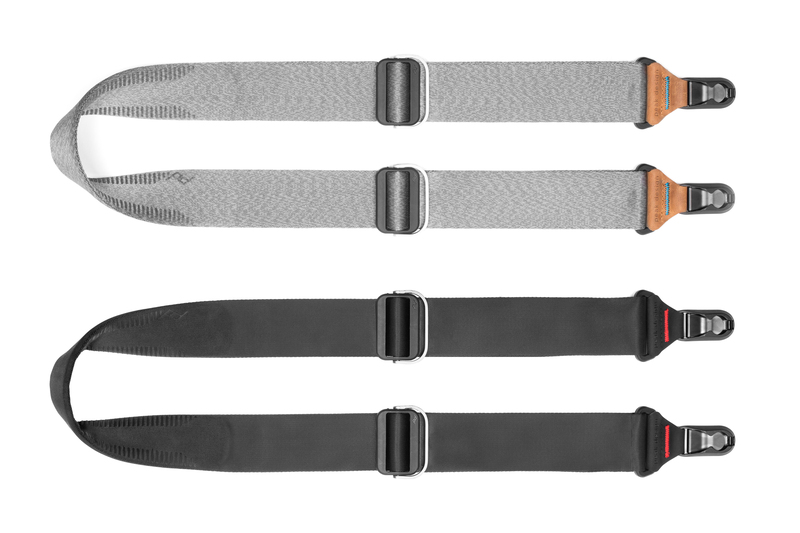 CAMS Minima Strap - This military-grade webbing-based strap folds into a pocket-sized bundle yet offers easy length adjustment and can accommodate pretty much any torso with its unique design. Quickly shorten your strap for on-the-go stability or lengthen it for shooting freedom. This minimalist design works best with lighter cameras but it is strong enough to handle a pro DSLR and lens. 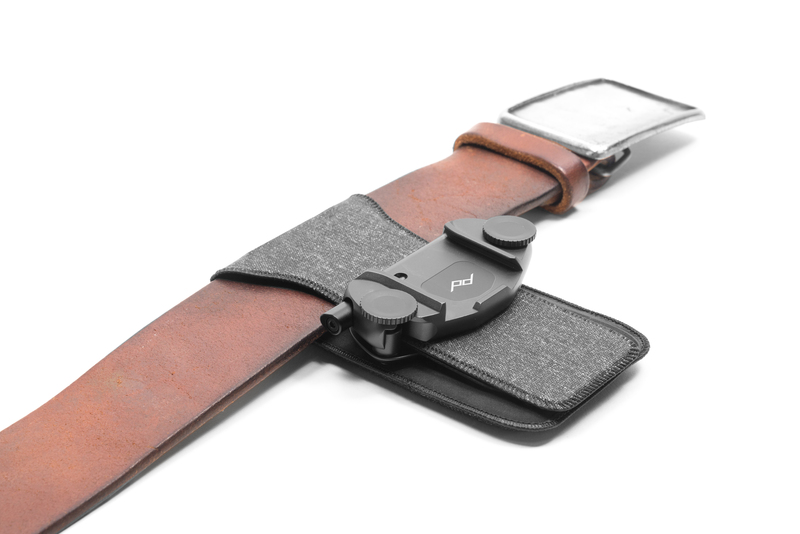 CAMS Pelle Strap - Add some missing style and class to the act of carrying your camera. In the same avant-garde spirit as the Minima Strap, this full-grain leather sling with nickel-plated hardware and rivets and embossed CAMS logos is intended to be subtle, bordering on discreet, yet clearly not your ordinary camera strap. Two sizes accommodate most torsos using the simple belt-style adjustment. 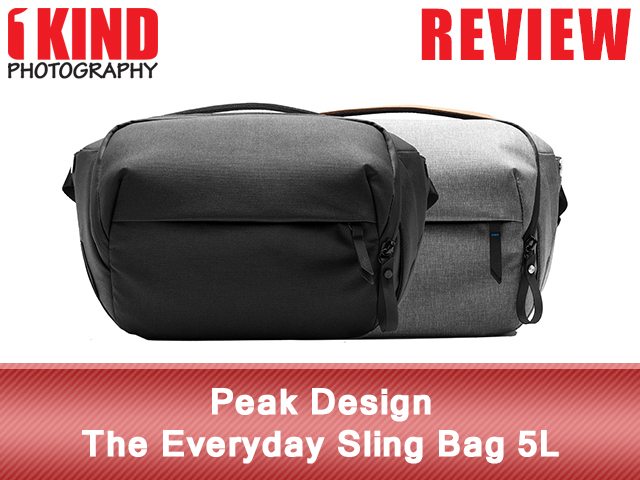 Overview : As the smallest, lightest bag in Peak Design's Everyday Line, the Everyday Sling 5L is ideal for organization, transport, and quick-access of essentials, whether you’re carrying camera, drone, or everyday gear. 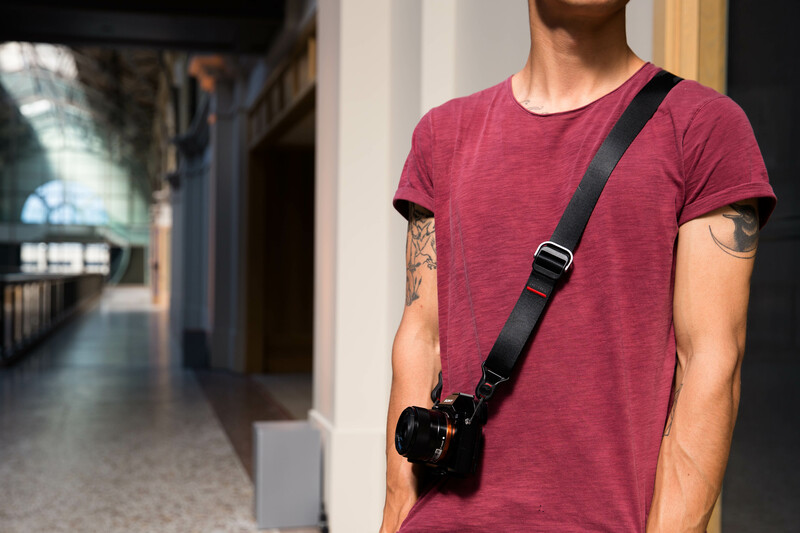 Wearable as a cross-body sling or a waist bag, the Sling’s convertible strap features a quick-adjuster that you can loosen when accessing gear and tighten when actively hiking or biking. A weatherproof zip provides quick inner access without removing the bag from your body. FlexFold dividers allow instantly customizable organization and protection. Padded tablet sleeve holds most tablets up to 11” and inner flap compartment contains 4 small stretchy pockets for batteries and cards. Weatherproof nylon canvas shell. 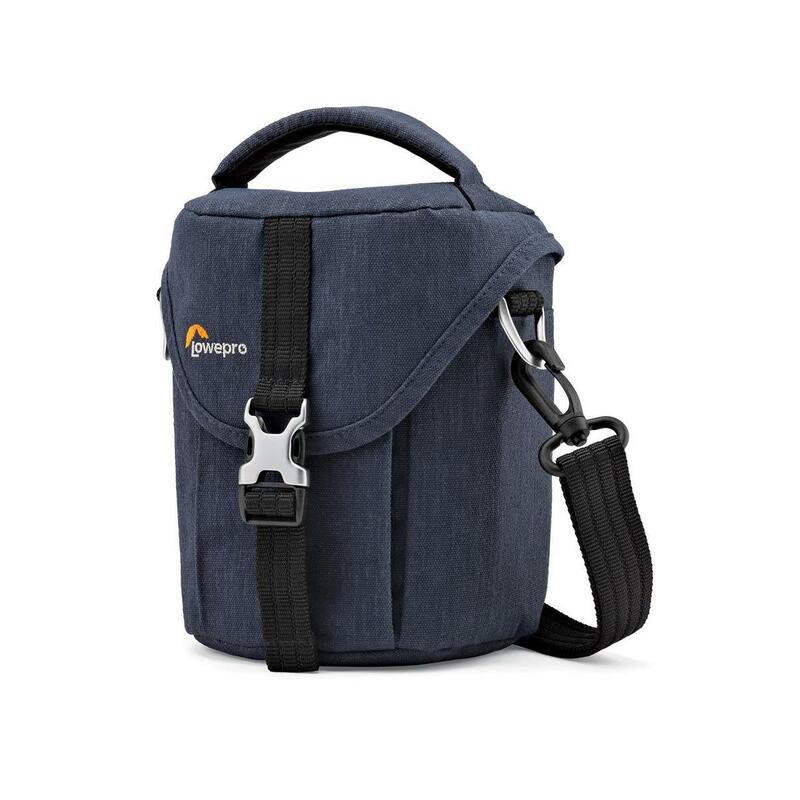 Adorama offers the Lowepro Scout SH 100 Mirrorless Camera Shoulder Bag in Slate Blue for $7.99 with free shipping. 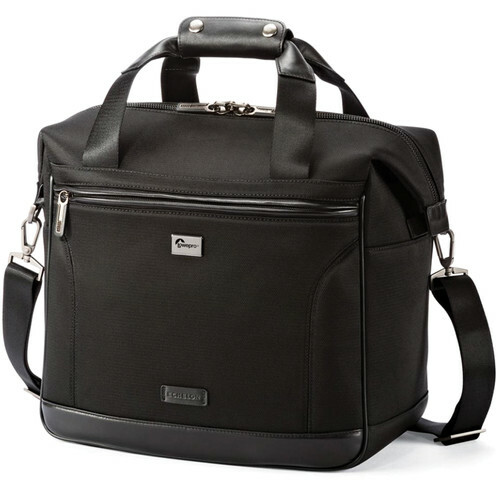 It features adjustable dividers, detachable shoulder strap, and front flap pocket. 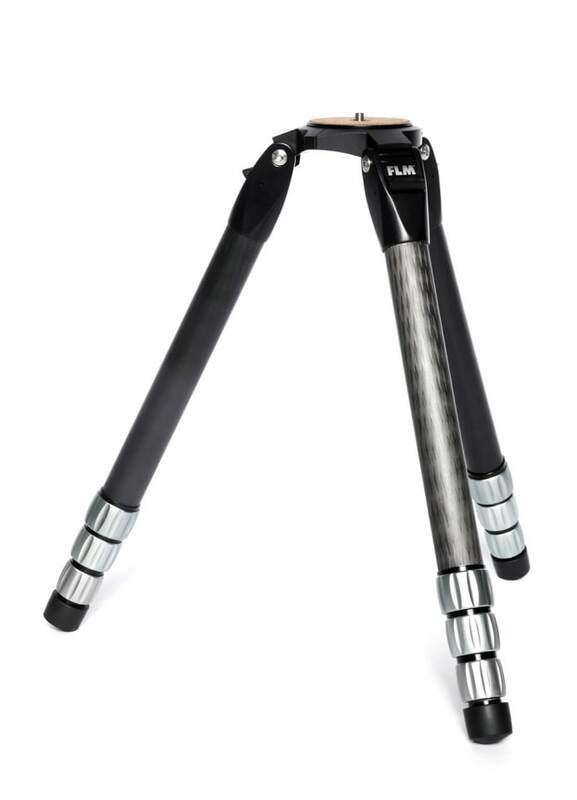 FLM has just unveiled their newest tripod on Indiegogo. 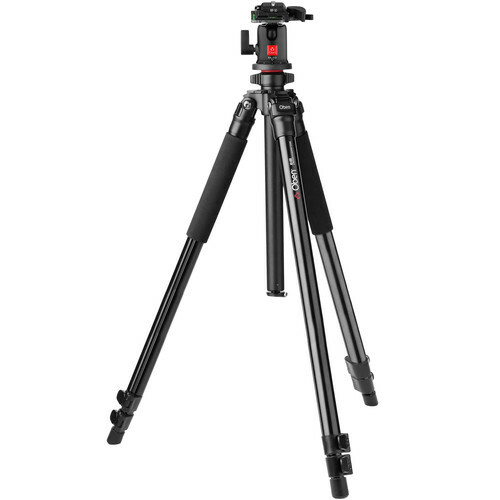 The new tripod is an attractive mix of size, strength, versatility and portability. It's the first in a new series they call the Berlin Series, and its model name is Berlin 38.4. Comparable tripods would be the Gitzo Series 4 or RRS TVC-34 tripods. It looks to be a perfect tripod for just about any situation, photo and video, DSLR up to Ultra-Large Format cameras. You can use 75mm & 100mm bowls and bowl adapters to get leveling capability, and then use your tripod for unlimited applications: video, sliders, spotting, cinema...anything! The campaign will end on November 21, 2017 and will start at $558. For more information and pictures, take a look at their Indiegogo campaign. We're a big fan of Peak Design products and they have grown tremendously as a company and their products as well. 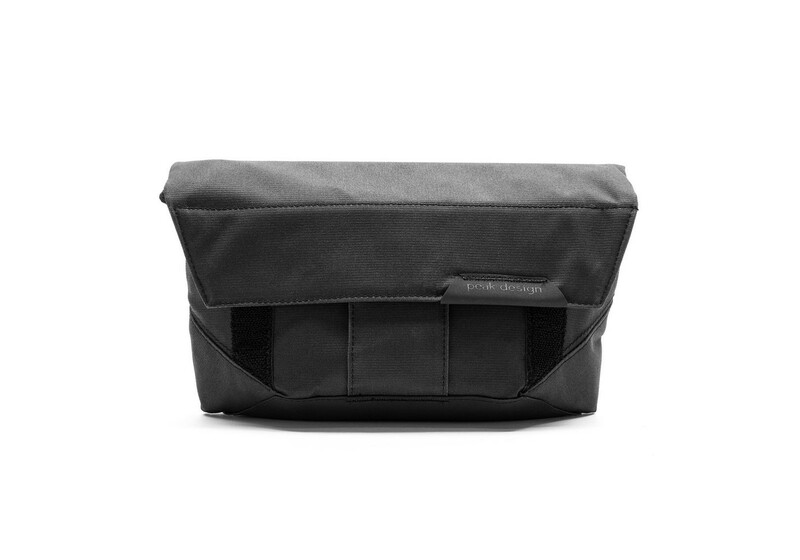 Today, the Everyday Backpack (review) and Field Pouch (review) received a new color: Black. This joins the Charcoal, Ash and Tan. The Charcoal and Ash comes in both 20L and 30L where as the Tan and Black only come in 20L. Profoto has announced the world's smallest studio light, the Profoto A1. It retails for $995.00 and you can purchase from B&H Photo and Adorama. Note: It's limited to one credit per account. A few months ago, we reported that Micron Technology was discontinuing the Lexar brand. This includes memory cards, USB flash drives, readers, and storage drives. Micron was look into selling all or part of Lexar business. It's reported that Longsys, a world leader in consumer flash storage has been acquired the Lexar trademark and branding rights from Micron Technology. As one of its daily deals, B&H Photo Video offers the Lowepro Echelon Attache for $89.95 with free shipping. 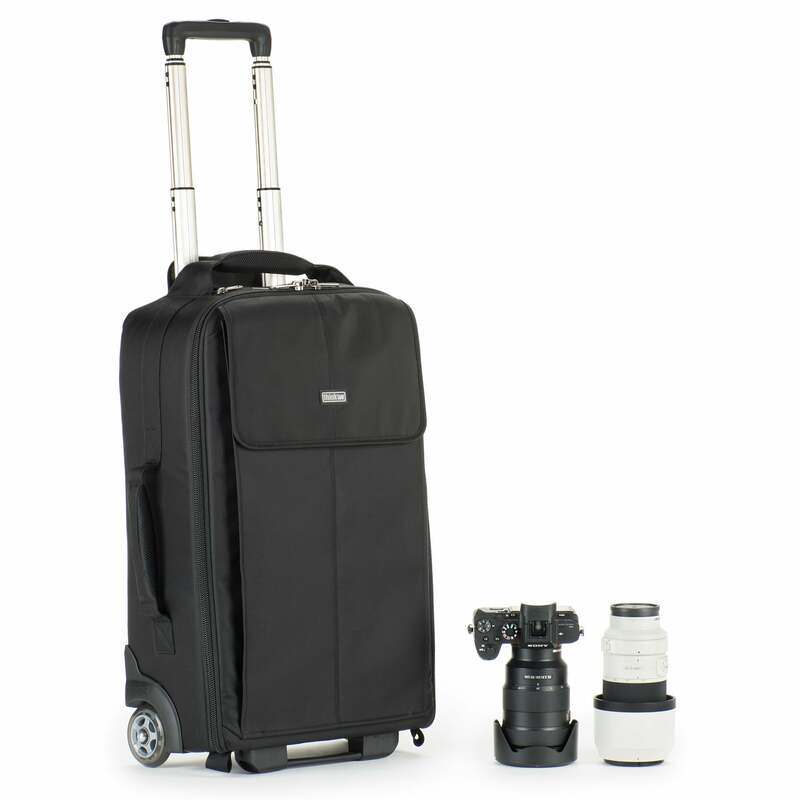 It holds one pro DSLR, up to three lenses, and a 13" laptop. Deal ends today. The Echelon features a zippered main compartment and numerous dividers for organizing your pro DSLR camera and 2-3 lenses, flash unit, and other accessories. 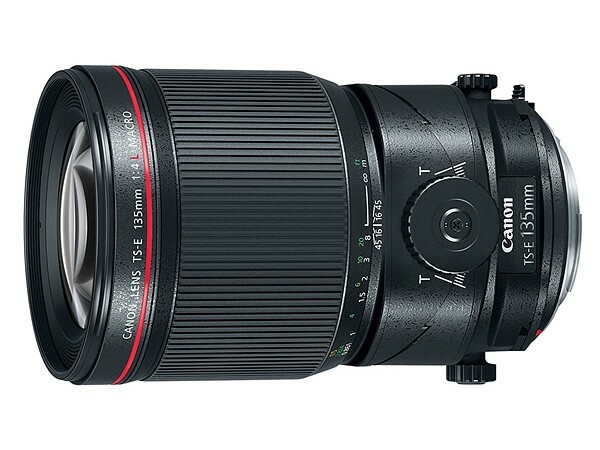 It will even accommodate a 70-200mm f/2.8 zoom lens. Inside the Echelon is a slip-in pocket for storing up to a 13" laptop. An exterior, zippered, front pocket features an organizational panel with pockets for your passport, ID, pens, memory cards, and other small items. 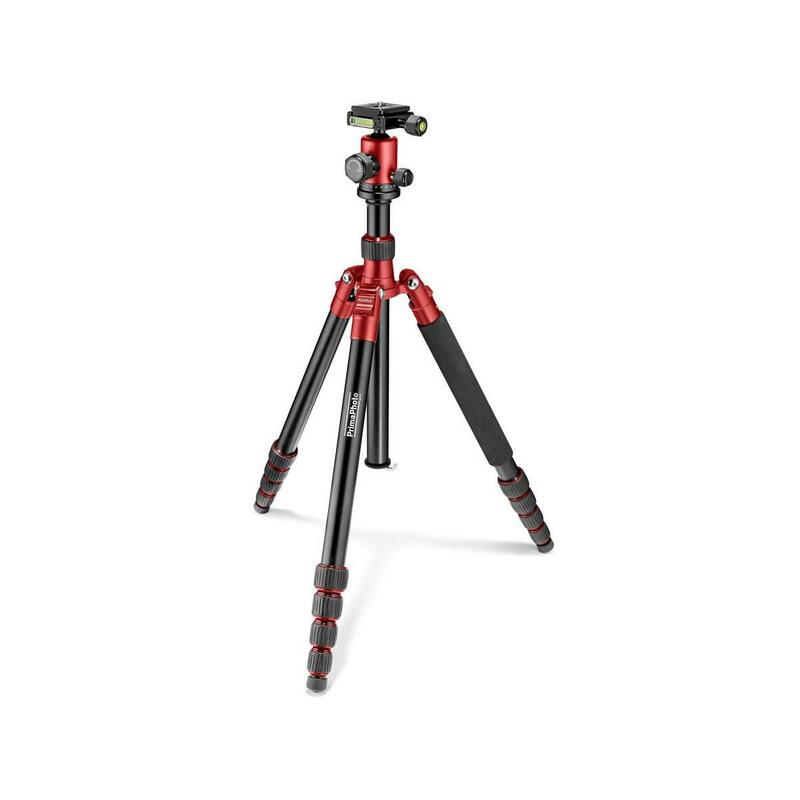 As one of its daily deals, B&H Photo Video offers the Oben Aluminum Tripod with Ball Head for $79.95 with free shipping. It features a 13.2-lb load capacity, height adjustment from 9" to 65.3", and a removable head. Deal ends today. Everyone has seen or own one those Canon look-a-like coffee lens mug. What if you had a coaster to put your mug on them? Well FotodioX recently launched a new line of drink coasters called the LenzCoaster. 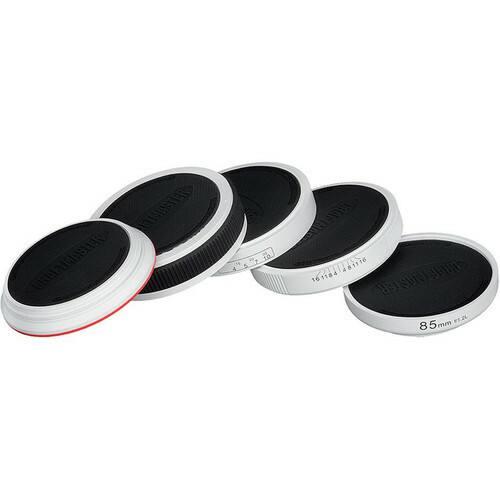 Each set of 5 coasters stacks to form a look alike 85mm f/1.2L camera lens. There are hidden magnets inside the coasters to hold them together to form the shape of a lens when it is not in use. On the top and bottom of each coaster is a pad of non-slip silicone to keep not only the drink from moving but the coaster as well. The LenzCoaster are $24.95 each and is available at Amazon and B&H Photo. The coasters come in three different colors: black on black, red on black and black on white. 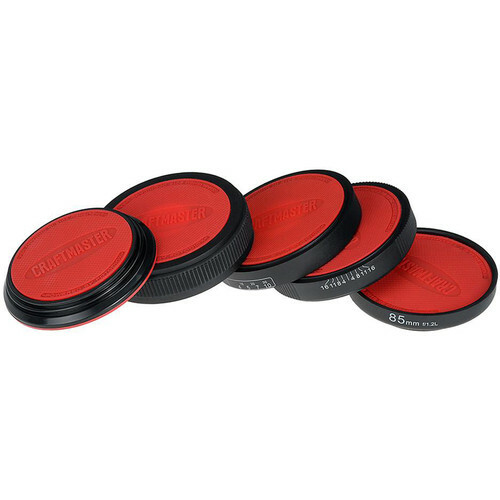 LenzCoaster Coaster Set from FotodioX is a distinctive accessory for a photography enthusiast. This seemingly innocuous replica of an 85mm lens is composed of five coasters held together by magnets. The coasters can be easily split apart for use, and them brought back together to rebuild the disguise. Silicone pads on the top and bottom of each piece help absorb moisture and keep your drink from sliding. 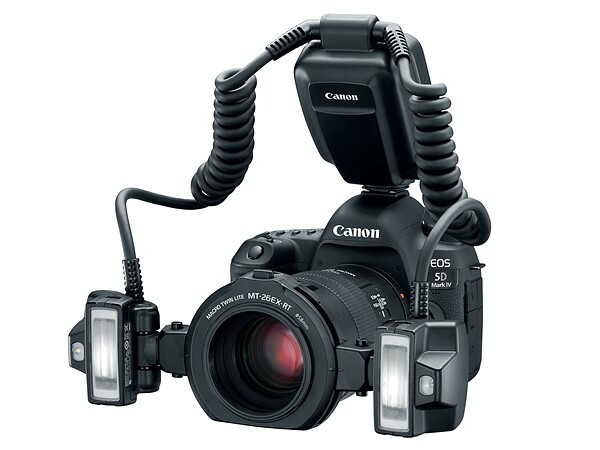 Canon announced the Macro Twin-Lite MT-26EX-RT, a dual Speedlite rig for macro photographers. 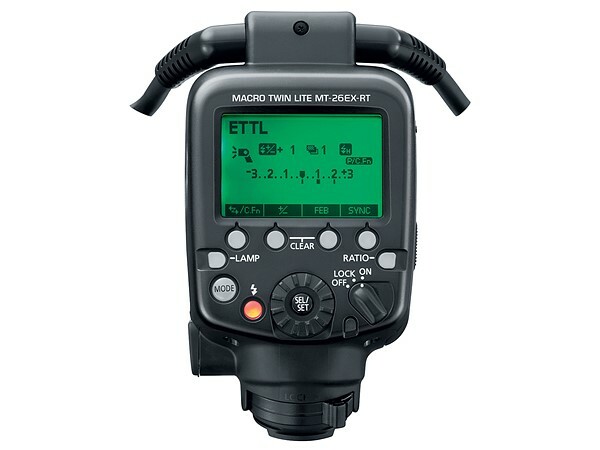 The detachable twin lights can be rotated 60 degrees and provide a maximum guide number of 26m at ISO 100 (the existing MT-24EX is rated to 22m). It supports Canon's radio-based wireless control system in addition to the traditional optical setup. Flash power can be adjusted all the way down to 1/512 and recycle times range from 3.3 seconds in "quick" mode to 5 sec for a full recharge. 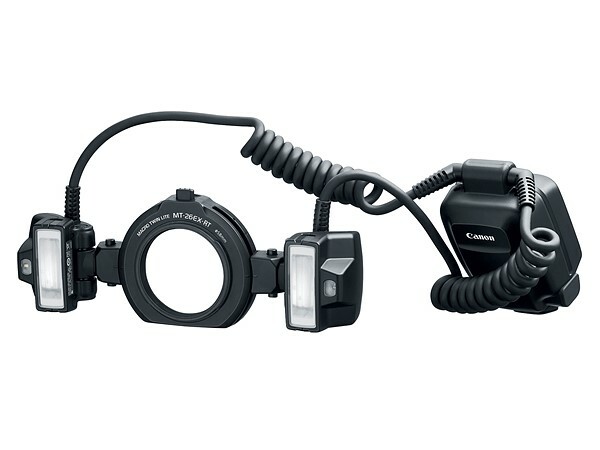 The Canon Macro Twin-Lite MT-26EX-RT Flash will be available in November for $990. 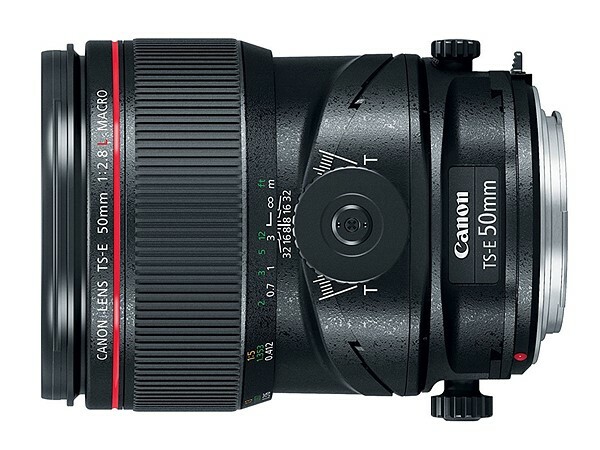 Canon has introduced three new tilt-shift lenses: the TS-E 50mm F2.8L Macro, TS-E 90mm F2.8L Macro and 135mm F4L Macro. 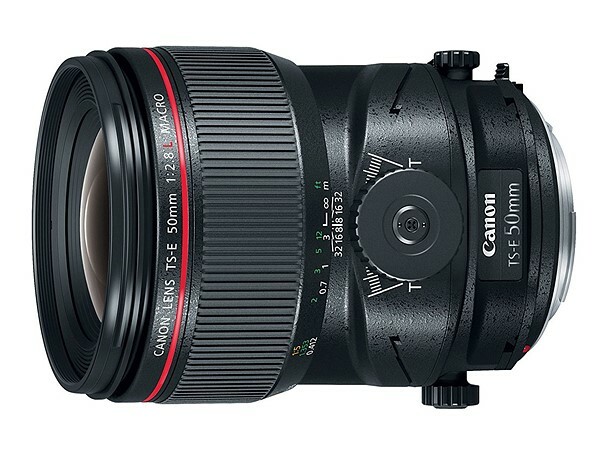 Canon says that all three offer improved image quality compared to previous TS-E lenses, with enhancements such as molded aspherical glass and UD lenses. SubWaveLength Structure Coating (SWC) is used in the TS-E 50mm F2.8L and 135mm F4L to reduce ghosting and flare, and a new anti-reflective Air-Sphere Coating (ASC) is used in the TS-E 50mm F2.8L and TS-E 90mm F2.8L. 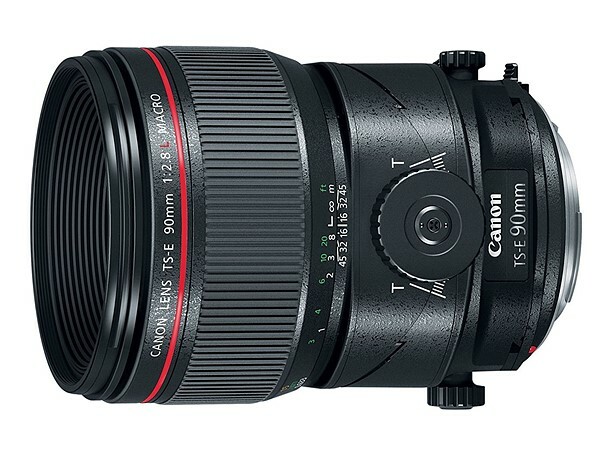 Each lens comes with usability improvements including a larger tilt range, shift-and-lock knobs and a mechanism to lock the lens at its zero-tilt position. 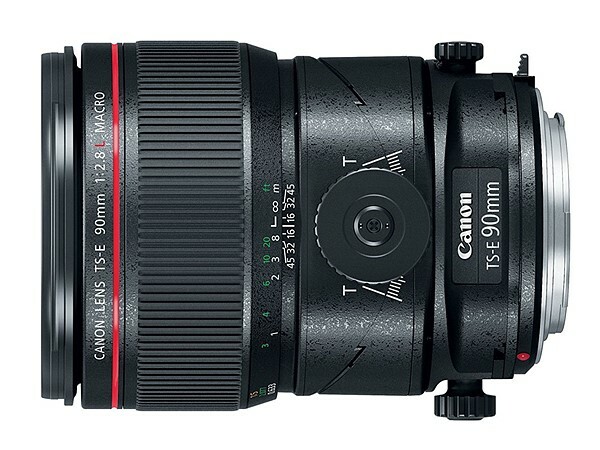 The new TS-E lenses will be available in November, each with a $2200 price tag.